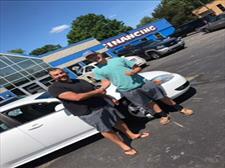 HUGS FROM YOUR BUDDIES AT MI USED CARS. 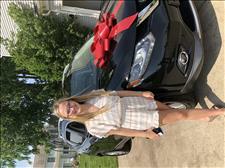 Happy sweet 16 Olivia !!! 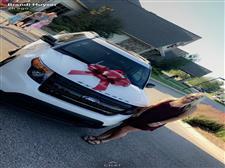 enjoy your first car. 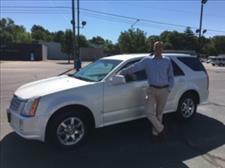 A BIG THANK YOU TO THE MEEKHOFS, IT WAS A PLEASURE TO MEET YOU AND SERVE YOU WITH GREAT SERVICE. 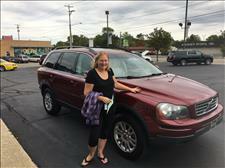 A BIG THANKS TO MS. DERKSEN WHO CAME ALL THE WAY FROM WISCONSIN TO PURSHASE A WONDERFUL SUV FROM MI USED CARS. 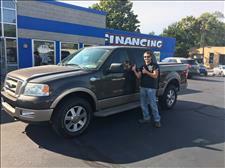 ADAM CAME FROM HILLIARDS, MI TO FIND AN AWESOME F150 FOR HIMSELF, THANKS FOR THE BUISNESS ADAM. 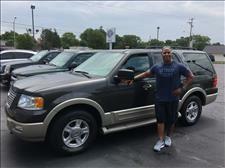 LOOKIN GOOD IN YOUR NEW WHEELS RON!! I PERSONALLY APPRECIATE YOUR LOYALTY AND FRIENDSHIP. 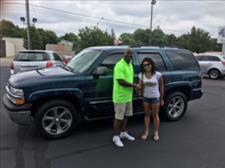 THANK YOU FOR THE PURCHASE OF YOUR NEW TAHOE ANDREA!!! BEST OF WISHES TO YOU AND YOUR FAMILY. 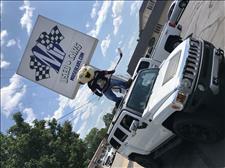 FROM ALL OF US AT MI USED CARS. 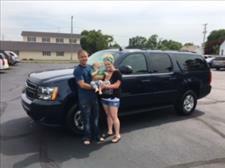 THANK YOU TO THE HUYSER FAMILY, HAPPY BIRTHDAY JAYDON!!! THE VORPI'S FROM CORAL, MI. 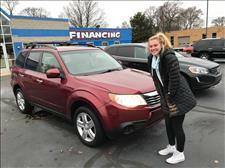 THE VORPI'S ARE A FUN LOVING FAMILY THAT SEARCHED FOR 3 DAYS TO FINALLY FIND THE PERFECT DEAL FOR THEM AT MI USED CARS. IT WAS A PLEASURE TO MEET AND SERVE THEM. 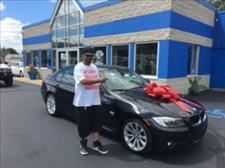 MR. BOLTON PURCHASED THIS BEAUTIFUL BMW FOR HIS WIFES BIRTHDAY, WHAT A NICE GIFT!!! THANKS FOR YOUR BUISNESS MR. BOLTON. 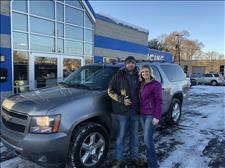 HOLLY DROVE FROM MARTIN, MI TO FIND HER NEW TAHOE. 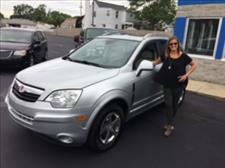 THANKS FOR FINDING MY DREAM CAR PETE!! SO HAPPY YOU TOOK THE TIME TO FIND THE PERFECT CAR FOR ME. 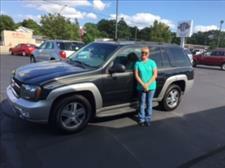 VERY EXCITED TO SEE TINA IN HER NEW TRAILBLAZER, THANKS AGAIN. 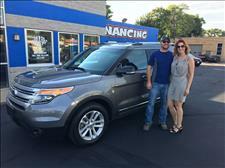 THANKS FOR MAKING THE DRIVE TO GR AND PICKING MI USED CARS TO PURCHASE YOUR FAMILY VEHICLE. 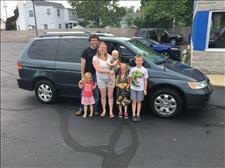 THE ECKHARTS TRAVELED FROM KALAMAZOO, MI TO PURCHASE THEIR FAMILY MINI VAN FROM US HERE AT MI USED CARS. WE APPRECIATE YOUR BUISNESS !! 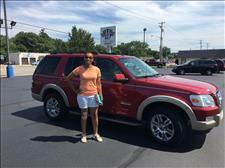 LOVE MY NEW EDDIE BAUER EXPLORER, THANKS AGAIN. 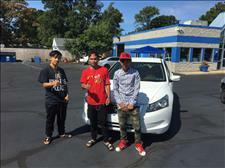 IT WAS TIME FOR A NEW WHIP, GLAD YOU COULD BE SO HELPFULL WITH MY TRADE IN. 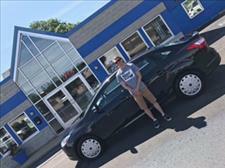 Thanks Pete, this Focus is exactly what I was looking for, Ill be ready for my Mustang when I'm done with college. 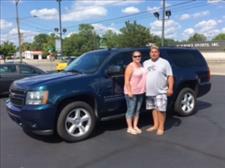 Thank you Pete and Tiffany Messina for making this process so easy and fun!!!!!! 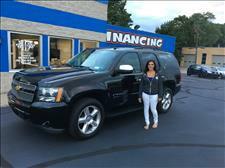 I love my new vehicle and highly recommend going there. 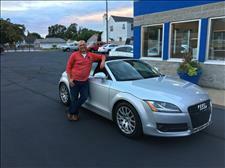 Bought my first car from Pietro at MI used cars, I'm very excited. Great price from a great company. 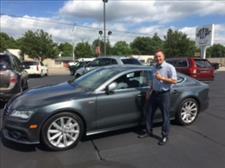 Love my new Caddy!! Thanks again Pietro! 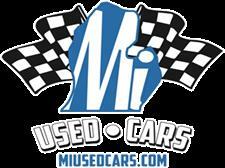 I have been in the Used car buisness for over 21 year in the Grand Rapids area, this is a new location for me to continue to serve the West Michigan area in quality used car sales. I'm proud to have the help and support from my wife and 4 children. Thank you for your consideration.